In a final public hearing before the Contra Costa County Board of Education, scores of parents and teachers on Wednesday night condemned a proposed split of the Mt. Diablo school district and slammed secession efforts as discriminatory and elitist. 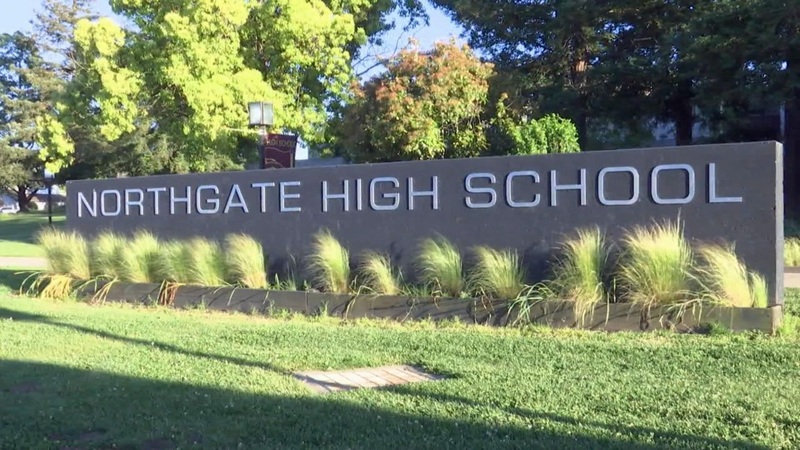 The meeting wraps up what has become a battle royale between Northgate CAPS, a coalition of Walnut Creek parents pushing for five affluent schools to leave the district, and members of the broader Mt. Diablo school community, who argue the proposal is rooted in a desire to weed out low-income and minority families. The wedge issue, which gained national attention earlier this week, is fueling conversations about hidden racism lurking behind the picket fences of purportedly progressive Bay Area suburbs. With the public hearings now concluded, the county’s education board has 120 days to render a verdict on the proposal's merits. If approved, it will be forwarded to the state's education board, which must weigh the proposal against nine specific criteria for school redistricting, including whether it would exacerbate segregation and inflict financial harm on Mt. Diablo. The arduous redistricting process has been tried before, but it has never reached this stage. For at least two decades, parents in Walnut Creek have at one time or another proposed splitting off from Mt. Diablo, a district with 56 schools stretching from lower-income cities such as Pittsburg to the moneyed suburbs of Walnut Creek and Lafayette. With 32,000 students, it ranks among the top 14 percent of California districts in terms of size, though it's not bloated by Bay Area standards. Oakland, San Jose, San Francisco, and even neighboring San Ramon districts have more students. During this week’s public hearings — arguably the most heated in a series of public forums to discuss the issue — both sides lobbed insults and accusations in four-hour sessions. Mt. Diablo was accused of being a bureaucratic mess that's financially irresponsible; Northgate CAPS was accused of having a deep-seated fear of "otherness." The proposed Northgate Unified School District, which includes Northgate High and its feeder schools, would be predominantly white with a median household income of $126,000. If the secession is successful, the downsized Mt. Diablo district would see its median income plummet to $76,144. And, because districts depend heavily on property taxes and parent donations as a source of funding, the dip could affect a slew of programs, including those for disabled students, according to the plan’s critics. She said the purported goals of the secession — to create better oversight and have strong community leadership — cannot be separated from its effect: a less diverse, more affluent boutique district that excludes low-income families. Meanwhile, secession proponents argue that the racially charged rhetoric of the district split is an attempt to appeal to the community’s worst fears. Mt. Diablo Unified School District shown in yellow. The proposed Northgate Unified School District shown in red. Teachers, who recently received a nice salary bump from the district, have been vocal opponents of the split. They acknowledge district accountability problems in the past, but say the school has been improving with the help of Nellie Meyer, a new superintendent. A split would be bad for everyone, they allege. Honey also claimed Northgate CAPS made deliberate efforts to carve out Oak Grove Middle School and Ygnacio Valley High School from the proposed district’s boundaries. Both are more diverse schools in lower-income areas of Concord. Northgate is one of the least diverse high schools in the Mt. Diablo district, according to data collected by the Department of Education. District board members testified in public hearings that the school’s slight gains in diversity over the last few years had been largely due to intra-district transfers of minority students. However, as Loza pointed out, it would be Mt. Diablo’s choice to let those transfers continue if Northgate splits. She said the new district is committed to being inclusive and would accept as many transfers as possible from diverse backgrounds. Rumors to the contrary are the product of a misinformation campaign spearheaded by Mt. Diablo and the teacher’s union, she said. She also defended herself against accusations that Northgate CAPS tried to secede rather than improve the current district. Loza, along with the most prominent supporters of the new district, has been highly active in volunteer positions at various schools over the years. “With a lot of improvement ideas, we were told no,” Loza said. “There was a French program that didn’t have a teacher to teach an AP level class, and there was an alternative to that, and we were told no by the district." Another wrote that “ghetto culture” robbed scholarly students of opportunities. But Loza, who called the online comments "disgusting," said her group has been harassed online at alarming levels, too. Fake Facebook profiles have been created that show pictures of her family next to Nazi symbols. Another bogus profile aligns the secession movement with President Donald Trump, using the phrase “Make Northgate Great Again.” She said people have even called her boss and threatened to boycott her employer. Although it has undoubtedly been a bitter brawl, at least one unlikely group involved in the debate has called for civility and maturity — the teenage students. Several high schoolers who attended the public meetings said they were hopeful the next 120 days would provide a breather for Northgate CAPS and Mt. Diablo proponents. Sara Wheeler, a sophomore at Northgate, said she wants the school to stay with the district — but the infighting and the back-and-forth squabbling has become exhausting. “It doesn’t represent our community well at all, and it’s not what we should be about," said Sara Wheeler.